The Battle of the Boroughs- Bronx is a week away! As I’ve mentioned many times, it’s been one of my favorite events to attend since I began the blog. Our borough has so many wonderful, talented musicians that we probably pass in our daily travels and Battle of the Boroughs gives us a chance to hear them and see them perform. Stef Lebaux is one of those people. Like a mixologist of sound, she blends unique sounds together and pairs them with her hauntingly beautiful voice and clever lyrics. Learn more about her below in this month’s Spotlight! Are you originally from the Bronx? If so, where? Do you feel that the Bronx inspires your work? I grew up in the Morris Park area of the Bronx. I went to Boston to attend Emerson College and graduated with a degree in audio engineering and a minor in broadcast journalism, I also took music and engineering classes at Berklee College of Music. After that, I went to Los Angeles to work at Indie 103.1FM (an awesome indie station with tons of celebrity Djs). I worked as a producer, audio engineer and on-air personality. The city you grow up in definitely shapes who you are. No matter what city I’ve lived in, I’ve always been a New Yorker, and knew I wanted to come back some day. Being away from my family and friends in the Bronx inspired a lot of the emotion behind my newest EP release “Terrors”, and since returning to the Bronx, I feel rejuvenated and inspired to take my career in new directions. Are there are people or things that influence your music? I’m very inspired by the music I grew up listening to. There was always music on in the house, whether it was my parents listening to the Beatles, Coltrane and Ella Fitzgerald on vinyl, my father playing acoustic guitar, or my sister listening to Trip Hop and Grunge. I fell in love with the Trip Hop genre- bands like Portishead, Fiona Apple and Radiohead are huge inspirations to me. As an electronic artist, I love to mesh the edgy nostalgic 90’s style with the energy of modern EDM. I use ProTools as an instrument to create and manipulate all the audio in my songs. Tell us a bit about your decision to try out for Battle of the Boroughs and how you are preparing for it. I have a huge appreciation for stations such as WNYC that facilitate the growth of independent artists. As a proud Bronx resident, I was excited to submit to represent my borough in such an awesome event! My long term boyfriend and incredibly driven upright bassist Jon LaTona is a huge inspiration to me, and we have been rehearsing as often as possible. I’ve also teamed up with the amazing vocal coach I worked with growing up to polish up on technique and stage presence. I’ve been performing at open mics around the Bronx, promoting on Facebook and twitter, and also started a YouTube channel doing covers (or as I like to call them, creative interpretations) of popular songs to get my name out there! My favorite place is my home studio in Morris Park. As a singer, songwriter, audio engineer, and producer, having my own space in a quiet centrally located neighborhood is amazing and I can’t imagine life without it! I’ve recently discovered An Beal Bocht in Riverdale. It’s an amazing and very welcoming environment for artists to gather- and I hope to become an open mic regular there. Last but not least, The Bronx Botanical Gardens. My mother worked and studied there when I was growing up, and not only do I have some great memories, but it’s a beautiful place to walk around when you need a bit of nature in the city. What’s next for your after Battle of the Boroughs? I’m in the process of conceptualizing and creating music videos for the songs on my EP “Terrors”. Beyond that, I already have enough songs for a second album, and am very excited to move into the production stage for it! I won’t completely disappear into the studio though- I’m going to keep covering songs on my new Youtube channel, as well as performing around NYC. I’m currently working on two different sides of my live performance, a full setup with a DJ and electronic drummer to perform the full soundscape of my electronic tracks, as well as an acoustic setup with just me on vocals and Jon on upright bass. It takes a village to make an artist successful, and I’ve been wearing a lot of hats in order to move my career forward. As an independent artist, my biggest goals are to keep creating music that I love, and to search for fans to share it with. 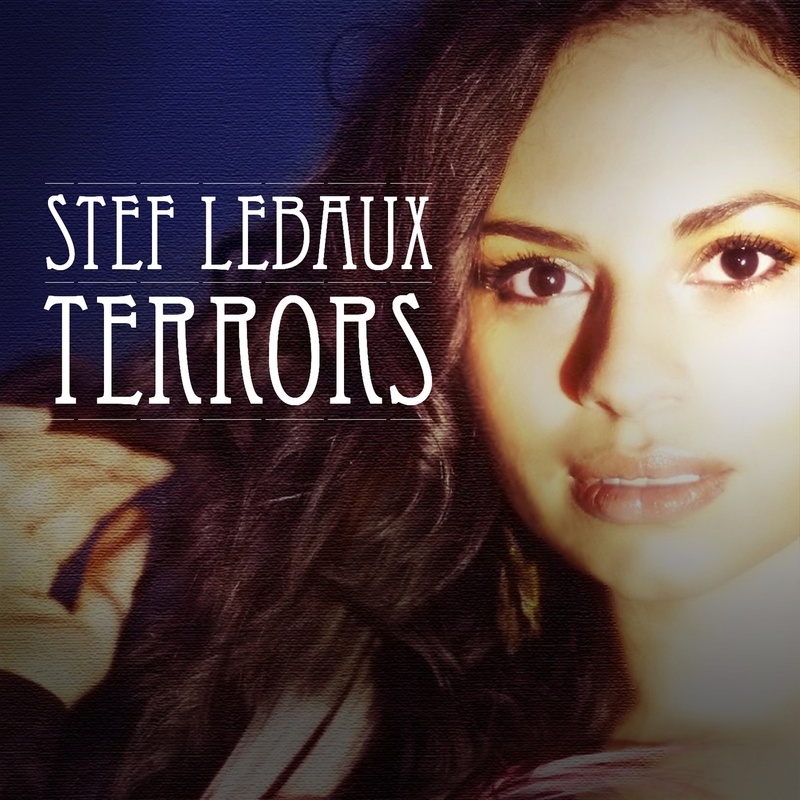 You can keep up with Stef online on Facebook, Cdbaby, Youtube and Twitter! Be sure to catch her on The Greene Space & WNYC’s Battle of the Boroughs: The Bronx this Friday, April 4!